Infertility is a serious problem of modern times. According to statistics, approximately every sixth couple in the world is affected by this affliction. Various methods are used for infertility treatment at assisted reproductive technologies clinics: those include conservative methods for fertility restoration as well as the use of such procedures as artificial insemination, IVF, ICSI, and surrogacy. The choice of a specific infertility treatment regimen is conditioned upon the underlying reasons of infertility, as well as upon the seriousness of the patient's reproductive function disorder. The cost of an infertility treatment technique depends on the type of technique chosen. In most cases early detection of a disorder and adequate treatment can lead to fertility restoration. However, there are individuals, who are incapable of becoming parents even with the help of such methods as IVF or ICSI. At that point, the only two available options would seem to be the adoption of someone else's child or childlessness. Our company offers one more option: the birth of one's genetically own child with the assistance of a surrogate mother. Surrogacy is an ART method that can help in such severe infertility cases where a woman is incapable of bearing a child on her own. The cost of this infertility treatment technique is rather high: compensation paid to the surrogate mother, who carries your child for a period of nine months, accounts for the bulk of the overall amount. How is the surrogacy programme implemented? A surrogate mother voluntarily agrees to become pregnant, carry to term and give birth to someone else's biological child. She likewise agrees that, following the birth, the child's biological father and mother will be officially registered as his or her parents. Despite the widespread use of the term "surrogacy", we believe the definition offered by the World Health Organization (WHO) back in 2001 to be more accurate: "A gestational carrier is a woman in whom a pregnancy resulted from fertilization with third-party sperm and oocytes. She carries the pregnancy with the intention or agreement that the offspring will be parented by one or both of the persons that produced the gametes." Russia is one of the countries where surrogacy is a completely legal and widely used infertility treatment method. As a rule, families that decide to resort to the help of a substitute mother contact one of the surrogacy agencies that provide full support for the programme. "Our company has specialized in legal and technical support for contracts in the area of surrogacy, as well as sperm and egg donorship since 2003, and is currently an absolute leader in this field. We are rightly proud of the results of our work, and you can view those in the section titled "Our Achievements". Some of the best assisted reproductive technologies clinics are among our partners. These clinics have a strong scientific and technical foundation and a staff of highly qualified specialists with broad practical work experience in the area of infertility treatment using ART methods. When you contact our surrogacy agency you can rest assured that our company's specialists will make every effort to help you become parents. Egg donorship is used in the course of infertility treatment in cases when a female patients ovarian reserve is depleted (during menopause, for example), or the oocytes are of poor quality and cannot be used in an IVF cycle. As in the case of a surrogate mother search there are several solutions to this problem. 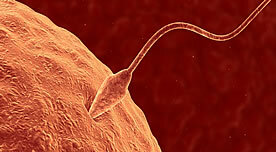 In vitro fertilization technology has been in use all over the world over the past several decades. The chances of becoming pregnant with the help of IVF are increasing, because ART methods are constantly being improved. Nowadays pregnancy after IVF occurs on average in forty percent of cases.